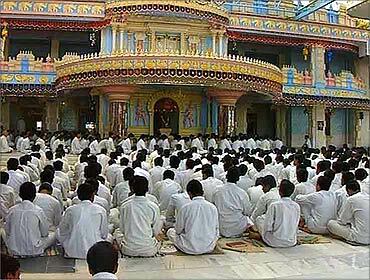 With the passing away of Sathya Sai Baba, there is a huge concern regarding the future of the temple town called Puttaparthi in Ananthpur district of Andhra Pradesh. Puttaparthi was always bustling with activity every time Baba was there and today with this passing away the biggest worry for many vendors and businessmen is whether the economy will continue to remain the same or would it diminish. Image: There is a huge concern regarding the future of Puttaparthi. Although devotees swear that they will continue to visit Puttaparthi even with the passing away of Baba, it appears unlikely that this would be the case. 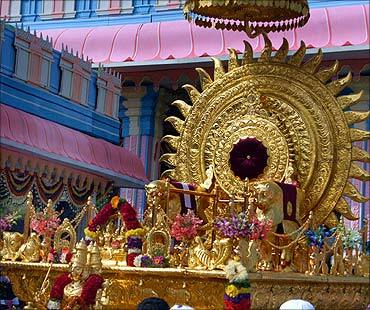 Puttaparthi witnesses lakhs of devotees all through the year, most of them being foreigners. Image: Devotees say they will continue to visit the temple town. It is the foreigners from across the globe who form a big part of the economy of Puttaparthi as they are the ones who stay on the longest at the Ashram. Now with the passing away of Sai Baba it becomes clear that the number of foreigners who visit the place will come down drastically. Image: Foreigners formed a big part of the economy. 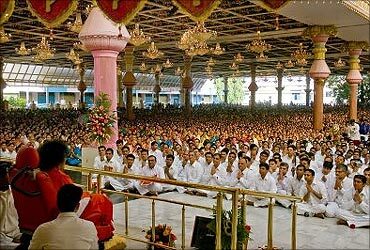 There is proof of this since these foreigners always followed Baba wherever he went and now that he is not there, it is unlikely they will stay on for long at the ashram as they used to do before. Baba spent most of his time at Puttaparthi and during the summers he spent time at his ashram at Kodaikanal and also Whitefield in Bangalore. Image: Foreigners are unlikely to stay for long at the ashram. When Baba left Puttaparthi for these ashrams, the town was almost deserted with all the foreign tourists following him wherever he went. They say that they come to listen to the discourses by Baba. "It will not be the same here without him as we will not be able to see him in person anymore". Image: Foreigners say they came to listen to Sai Baba. "His soul will always be with us, but it was a different feeling when we got to see him in person," says a devotee from Australia who is part of the funeral at Puttaparthi. This is exactly what has been worrying the establishments in Puttaparthi, which has a population of just 10,000. 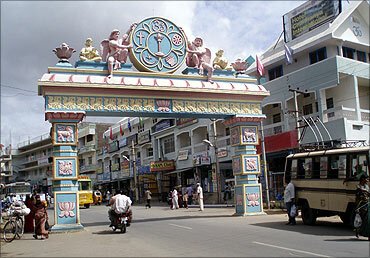 Image: Puttaparthi has a population of 1,000. They feel with Baba's demise, the number of foreign tourists will diminish and it would have a direct impact on their business. 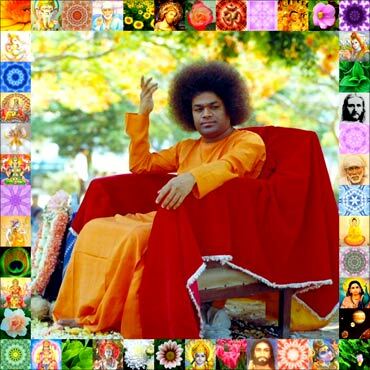 A majority of Sai Baba's empire has been built on donations. The super speciality hospital, the educational services are all free of cost and hence there is no income that comes from that. Image: Majority of the Sai Baba empire has been built on donations. The entire temple town revolves around Sai Baba. The hotels, the shops selling his pictures, pendants, CDs, books and a host of other religious material, flower shops, restaurants and Internet cafes form a large part of the business. In addition to this over the years some people have opened up hotels catering to various cuisines. Image: Entire town revolves around Sai Baba. This was done keeping the foreign devotees in mind and today these establishments fear that with the passing away of Baba, their businesses may suffer. 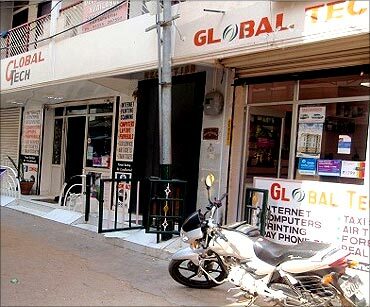 The Internet cafe owners too are a worried lot. Harish who runs a cafe says that the Indian devotees hardly use the cafes as they come here for a short visit. Image: Businesses fear loss of customers. "It is the foreigners who spend most of their time at the cafes and this was our biggest source of income. 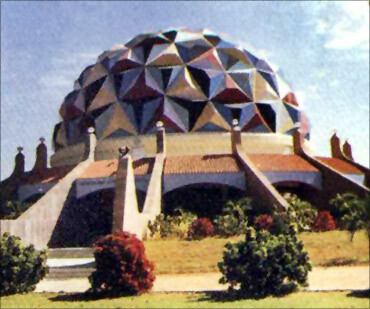 However, now we feel that they may come less here and also spend less time in Puttaparthi". The faces at the book shops too are grim. Image: Foreigners were the biggest source of income. These people relied heavily on the foreign tourists and at an average each of these stores earned anything between Rs 5,000 to Rs 6,000 per day. However, over the past couple of days there has been despair at Puttaparthi with Baba in the hospital. "There were times when we could not even make Rs 500 per day". Image: Town has been in despair over the past few days. "We are sure that it will pick up in the coming days, but we are not too optimistic that it would be like before with swami gone". 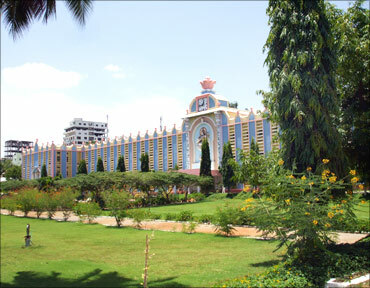 Everytime Baba left Puttaparthi during the summer; almost all the establishments in Puttaparthi remained shut, he said. There are hardly 1,000 people in the town at that point of time and the hotels too offered tariffs at less than half the price. 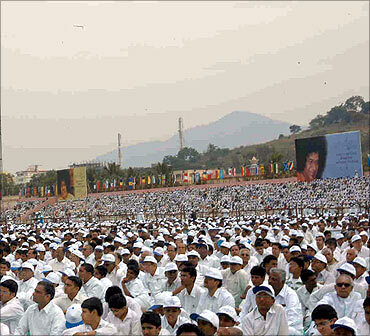 Image: Sai Baba's presence was felt everywhere. This only goes on to show the importance of Baba being around for these businessmen. Now with the p[assing away of Baba, the situation is un-thinkable for these vendors and businessmen. Another cause of concern is the real estate around Puttaparthi. 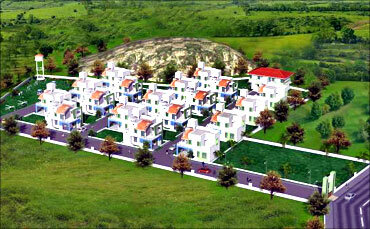 Many realtors had started investing around Puttaparthi since the town was developing. 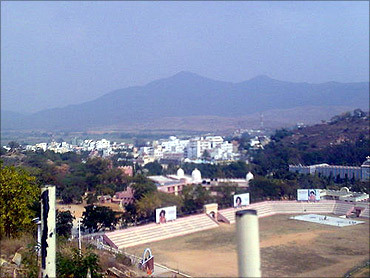 Image: Puttaparthi was developing fast. The town is very well connected, by road, rail and even air and hence investing in real estate was probably a good idea. 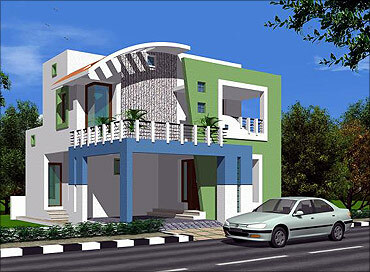 In the outskirts of Puttaparthi several villas and apartments had come up. Now this is only a thing of the recent past and such developments were non existent until five to six years back. Image: The town is well connected. 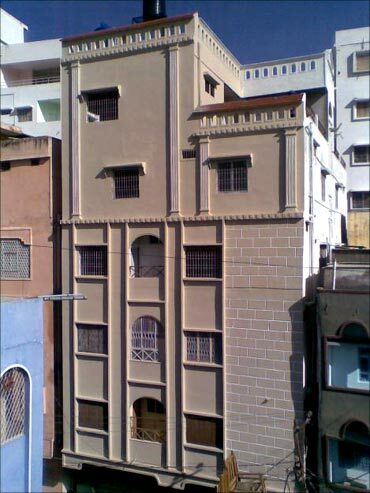 These apartments and villas were built keeping the foreigners in mind since most of them had a wish to settle down in Puttaparthi. The queries had started to pour in regarding the real estate, but since the news of Baba's bad health broke out the inquiries have come to a stand still. Image: Town's real estate could be hit badly. There is a big cloud over whether these projects would even kick off. 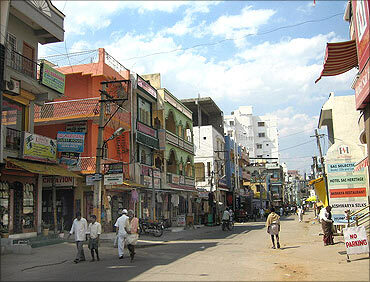 The days to come will be a big challenge for the residents of Puttaparthi town. 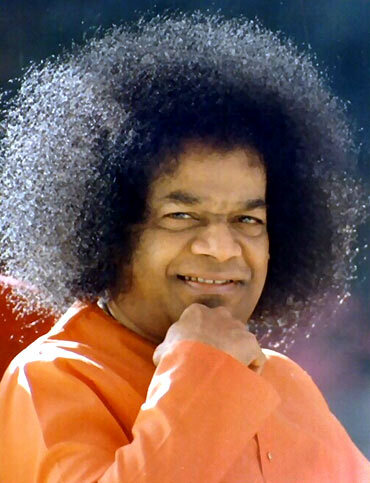 There is a huge transition that they will all need to make and they all feel that their livelihoods would only depend on the divine blessings of Sathya Sai Baba who passed away on Sunday at 7.40 AM. 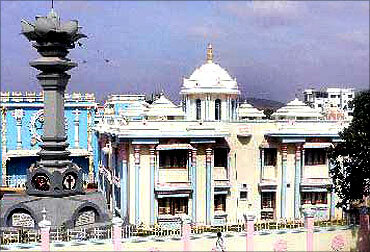 Image: Puttaparthi faces huge transition.